NewsKit Horizon™ connects professional digital cameras like DSLRs directly to community newswires, bridging the gap between citizen journalism, activism and photojournalism. The Horizon SD card contains a wifi chip and code interpreter that allows photographers to securely transmit and encrypt images for instant publication, optionally with watermarking or integration with editorial workflows. Photos and videos can be securely erased after being uploaded to the newswire in order to protect journalistic sources and preserve a clear separation of concerns between reporter and publisher. 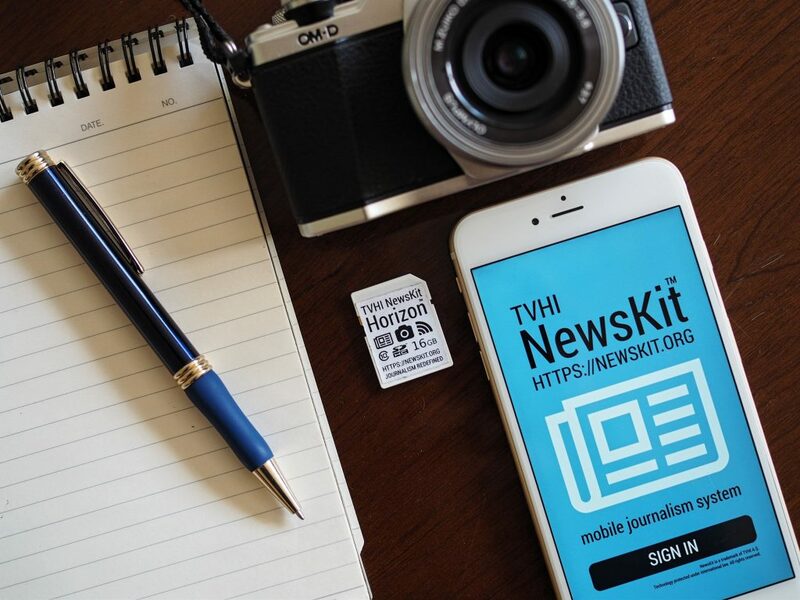 NewsKit Horizon™ extends the TVHI NewsKit™ mobile journalism system with newsgathering capabilities targeting the specific needs of news teams with reporters and citizen journalism networks in challenging environments. The system is available by subscription, or by joint funding, to agencies, media organisations and groups with a specific need for rapid and secure transmission of photography for broadcast.